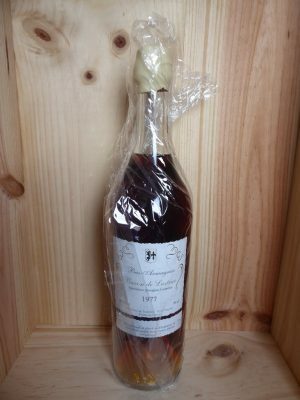 Baron de Lustrac 1978 Vintage Armagnac will make a superb 40th birthday or anniversary present in 2018. Armagnac is the oldest spirit in the world, used as a medicine in former times it has been distilled and appreciated since 1411. Armagnac is also a region, part of the southwest of France and is divided into three “sous-appellations” : Bas-Armagnac, Ténarèze and Haut-Armagnac. Baron de Lustrac works with a number of small producers and growers and oversees production and ageing of their spirit – this allows them full control of their Armagnac. Only the finest eaux de vie from the best terroirs are used in the production of Lustrac’s vintage Armagnacs. Once distilled the colourless spirit is aged in 420 litre oak barrels. It is here, in barrel, that the Armagnac leaches vanillins and tannins from the toasted oak which lend the spirit colour and flavour. The depth of colour and complexity of flavour increase all the time the spirit is aged in cask, the colour can range from pale straw to rich amber. As Armagnac ages it becomes darker in colour and softer, smoother and more elegant on the palate whilst aromas and flavours of prunes, violets, fig, honey, butterscotch and rancio develop. Part of the alcohol evaporates naturally during the long years in cask – this is known as “la part des anges” (the angel’s share). Baron de Lustrac 1978 Vintage Armagnac is presented in an old-fashioned Armagnac bottle and wooden box, these rare vintage Armagnacs are available in strictly limited quantities. Each label is inscribed with the year of distillation, the name of the Domaine of production, the bottle number and, where relevant, the grape variety.